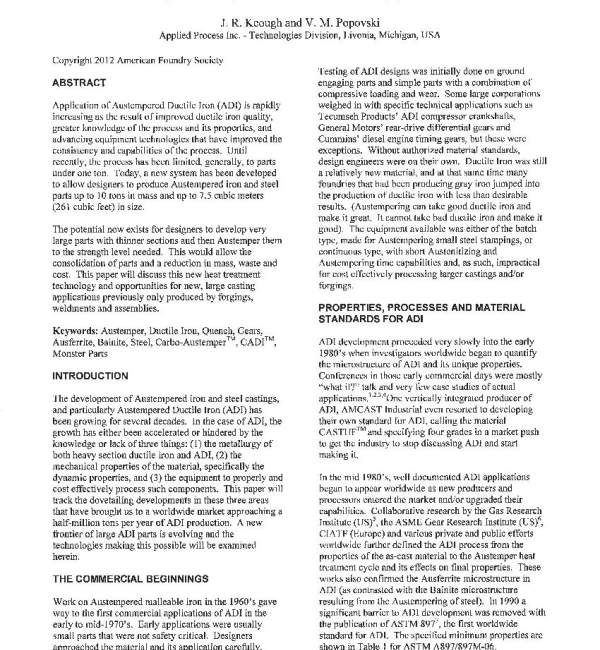 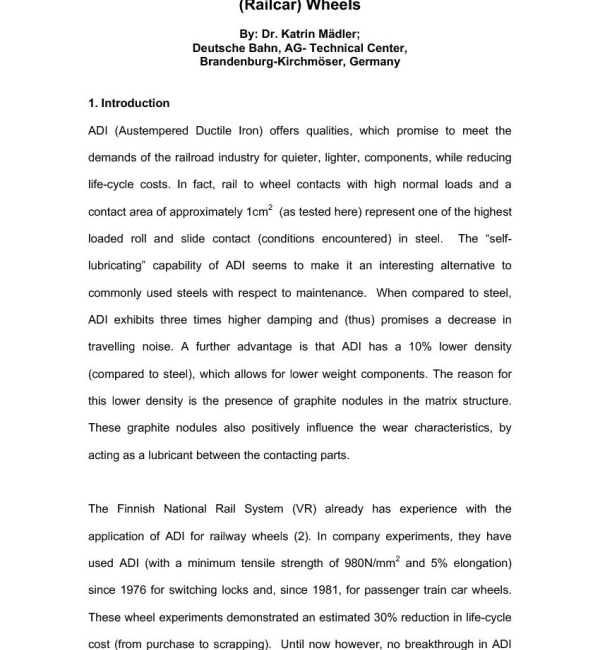 Studies were conducted to assess the machinability of ADI in turning operations. 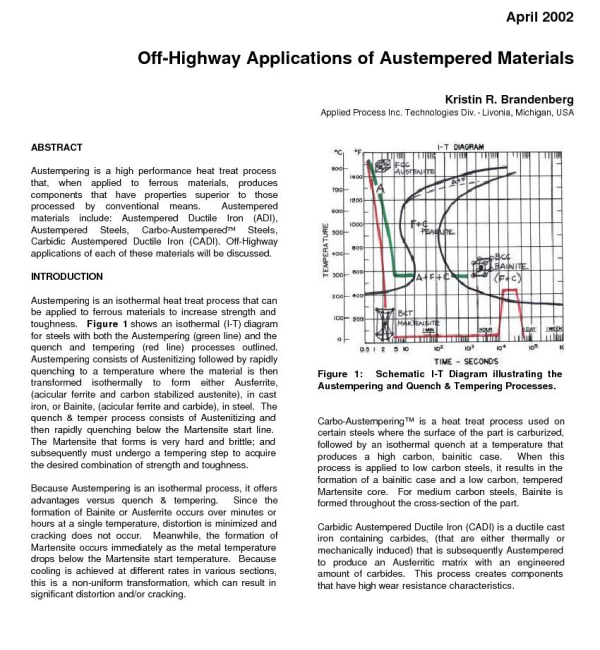 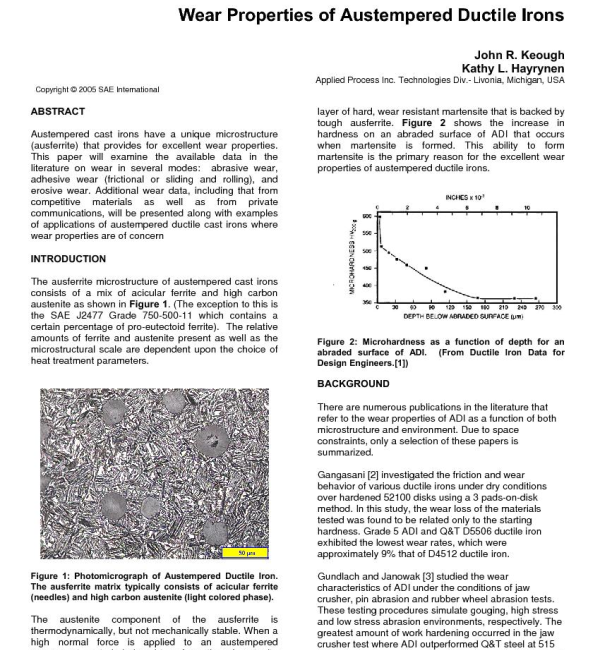 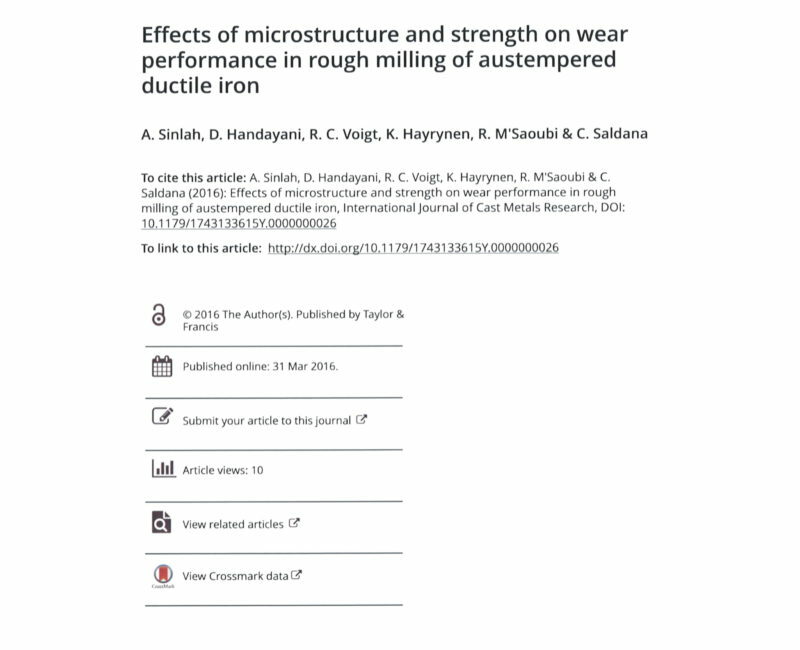 This paper highlights the research on wear resistance and property data of using ADI (Austempered Ductile Iron) for railcar wheels. 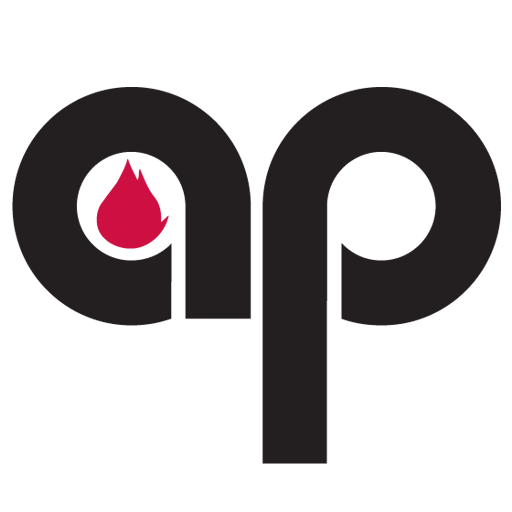 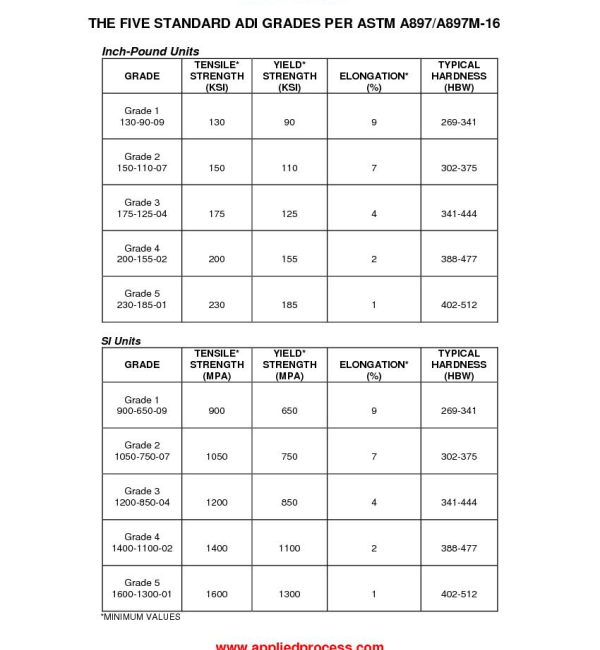 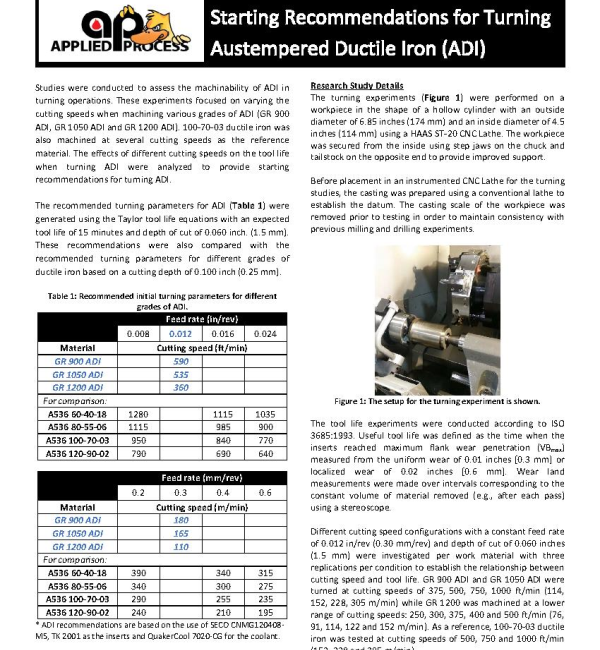 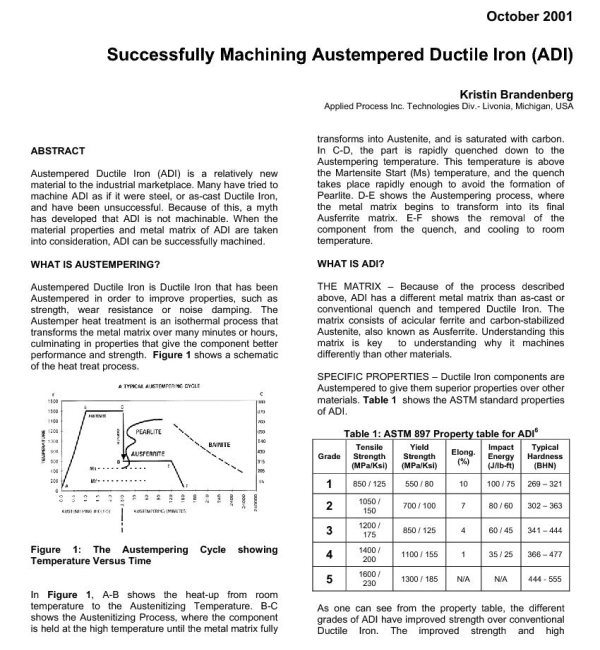 The machinability of various grades of austempered ductile (ADI) has been investigated for rough milling operations. 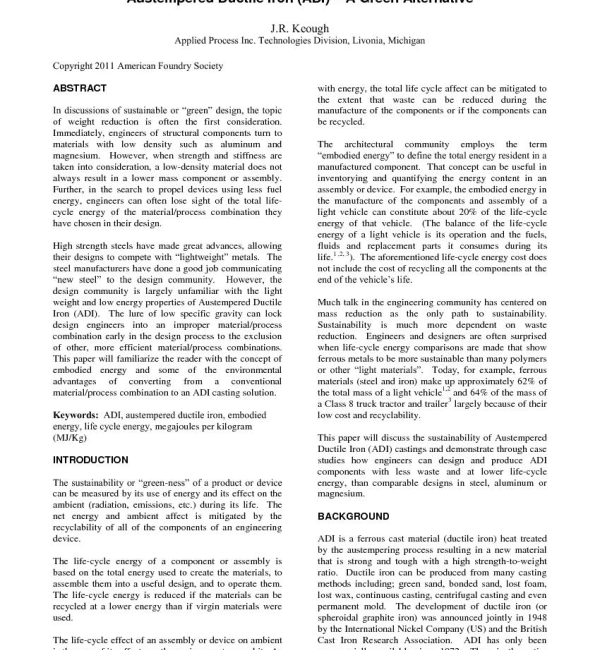 In discussions of sustainable or “green” design, the topic of weight reduction is often the first consideration.